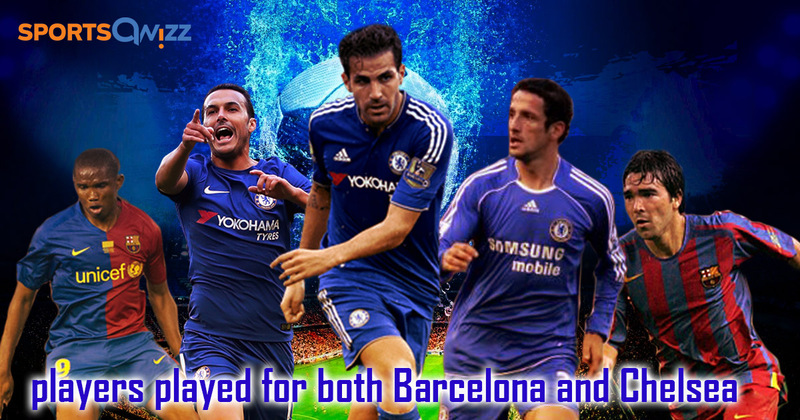 Overall, 13 players have plied their trade at both Camp Nou and Stamford Bridge. Here are a few more famous players who featured for both clubs in their careers. Play more football quizzes on your favorite clubs and player, on the SportsQwizz APP ! Juliano Belletti scored the winning goal for FC Barcelona in the 2006 Champions League final against which team? Which country is Juliano Belletti from? 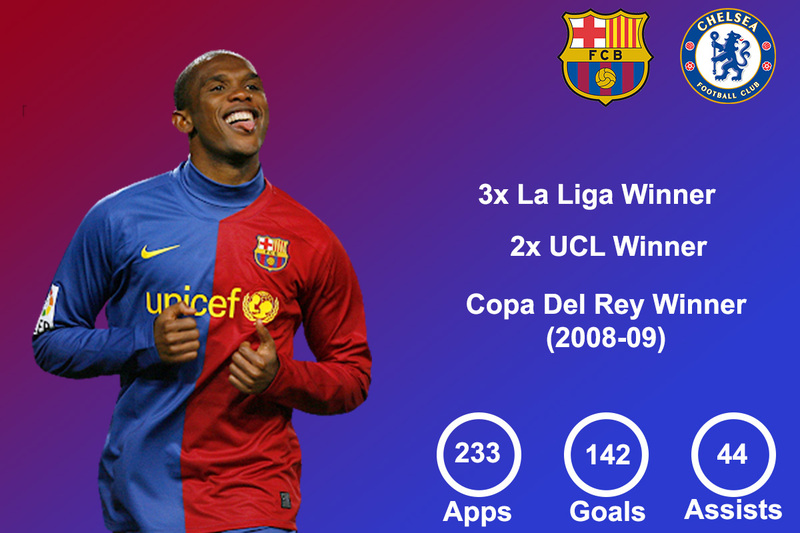 Samuel Eto'o won a league-cup-Champions League treble with which Italian club in 2010? Which other English club has Eto'o played for as well? Even though Deco represented Portugal, which country was he born in? 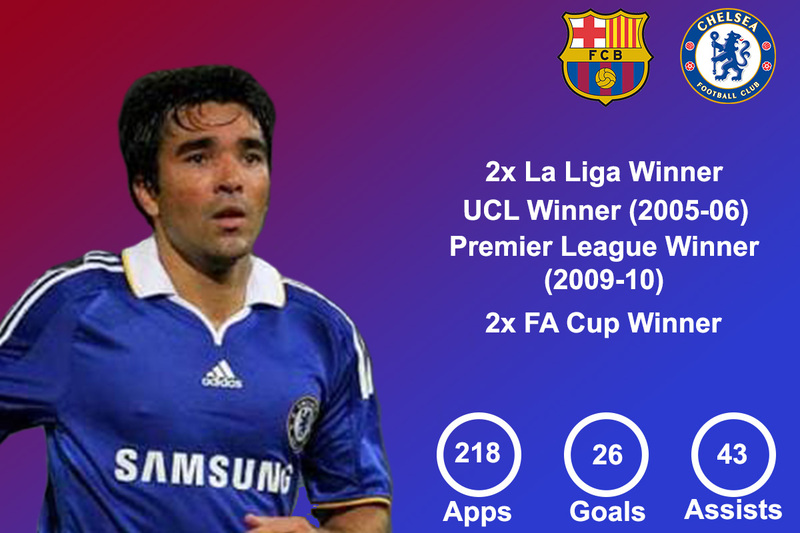 Deco finished as a runner-up with Portugal at which of these competitions? 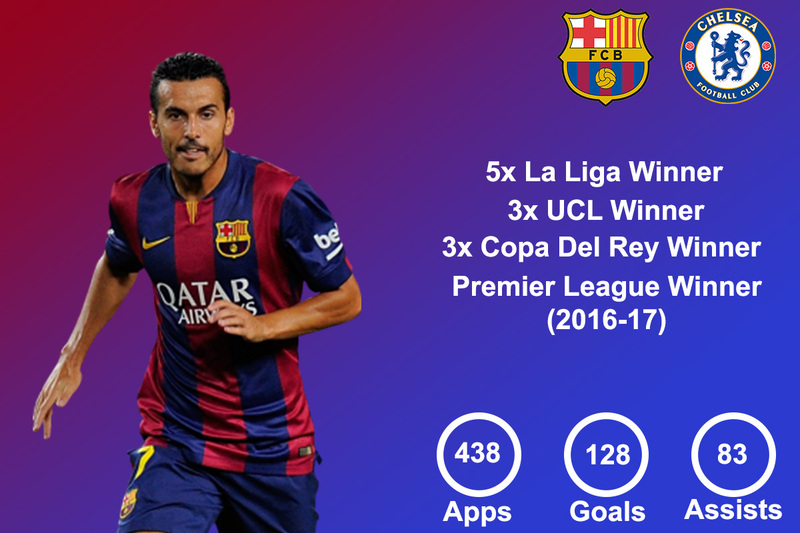 Pedro Rodriguez made his FC Barcelona debut under which coach? Who was Chelsea's manager when Pedro was signed by the Stamford Bridge side? 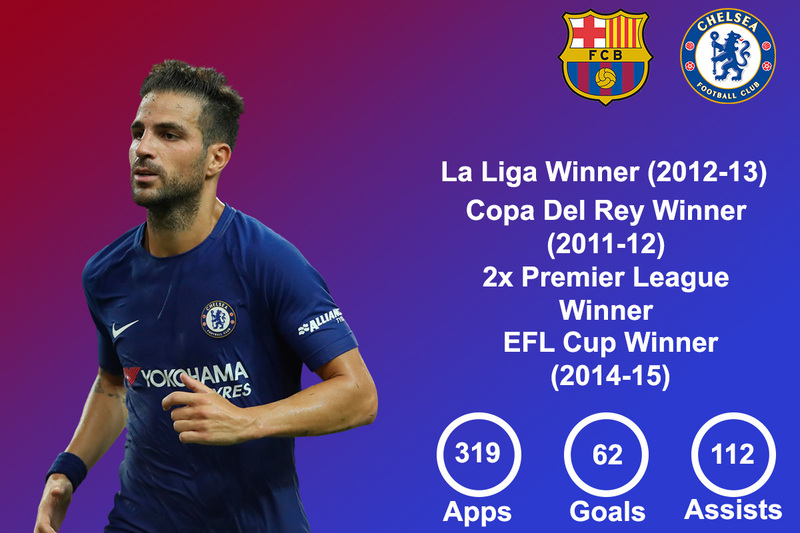 Cesc Fabregas served as the captain of which Premier League side from 2008 to 2011? Cesc Fabregas provided the assist for which Spaniard to score the winning goal against Holland in the 2010 FIFA World Cup final? Pingback: Manchester United fans ! Can you answer these questions on Ryan Giggs?